Welcome to our website. 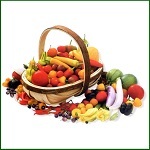 We hope you will find it easy to navigate and like our selection of vegetables and flowers. We are a small company, based in West Wiltshire, specialising in seeds and plantlets for the Kitchen Garden. We have a huge range of chilli and tomato seeds and many of these can also be ordered as plantlets which are sent out in spring. Please note that the website is set up for sending seeds to the UK and Europe only as we are not allowed to send seeds to many countries outside Europe. As we have had problems sending plantlets abroad in the past we now only send plantlets to addresses in the UK. We also have a shop at our nursery, where you can browse through our range at leisure.